Choosing a company to provide IT support is one of the biggest decisions you’ll make as a business owner. You need to find someone reliable, who understands your requirements, is available when something goes wrong and can fix problems quickly. 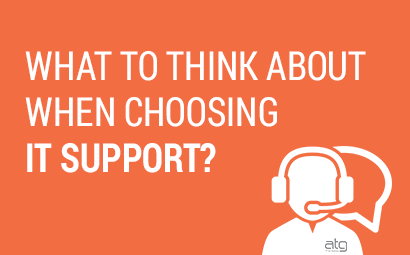 To help you, here are 12 things to think about when you’re looking at IT support providers. The more of these the company offers, the better the service they’ll provide. We’ve also created a handy checklist for you to use when you’re comparing options. How Quickly do They Respond to You? At ATG, we believe that your IT service should reply to you within 10 minutes of you raising an issue. When there’s a problem, you need it fixed so you can get on with running your business, and you need to know that there’s someone working on it straight away. We also think that the engineer or IT support specialist working to fix the issue should be proactive about updating you on the progress they’re making. A technical problem is stressful enough without you having to keep chasing the IT support services company for updates, or taking a team member away from their duties to keep checking in. They should be able to let you know what’s happening and how long the fix will take, as well as if there’s anything else you need to be aware of. If it’s a big job, does the IT support company have an escalation path that clearly shows that your problem will be fixed quickly and with minimum disruption while ensuring productivity? Do They Offer 24/7 IT Support? Businesses are global today, with customers all over the world needing reliable technology and support when things go wrong. 24/7 support should be a standard in your tech support package. Nobody can predict when a server will fail or a hacker causes a breach, so you need to know that your IT support company has someone on hand day and night to help you. They should also be working to minimise risks, so they should be proactively patching and monitoring systems. Do They Provide Remote and Onsite Support? Depending on what the problem is, you may be able to have things fixed remotely, or your support provider may need to send someone to your premises to make a repair or investigate further. The company you choose should include onsite visits in your package, so you know upfront what the costs will be. Ideally, remote support should also be included and unlimited, so you have peace of mind that there’s always help available. How Knowledgeable are Their Engineers? When something goes wrong, you’re reliant on the engineer being able to diagnose and fix the fault with minimal disruption. There is a range of certifications that engineers can have, so make sure that your IT support provider offers these to their staff. It’s also important that their knowledge and expertise is current, so find out if the employer ensures they receive regular training and updates and follow a career plan. Qualified engineers will give you the best possible service. What Data Security do They Offer? This is a key requirement for any IT support company, so you need to be sure that they have a robust solution in place. Check that they can draw up a business continuity plan in case of a disaster, and they can implement a backup plan that keeps you secure and allows you to keep working with minimal disruption. Wherever possible, your provider should use cloud-based security systems, particularly for things such as antivirus and DNS (domain name server) monitoring. This ensures that you’re always up to date against the latest threats. Finally, they should be performing regular system scans to ensure you’re virus and malware free. This protects staff productivity and prevents data loss, both of which ensure business continuity. Depending on your needs, your business will need a range of products and services, and a good IT support company should be able to provide these. Security is often the top priority for business owners, so they should be able to give you advice and services on a comprehensive range of security measures. They should also be able to support and configure any mobile devices, to ensure safety and productivity across devices. Additionally, they should be able to procure appropriate technology for your business. And if anything goes wrong with the equipment, the support company should be able to liaise with suppliers or manufacturers to sort things out. It’s also good if they can offer you Security Awareness Training to help make sure you and your staff are protected from social engineering cybersecurity threats, so you know you’re all safe. What Third Party Security Audits do They Adhere to? 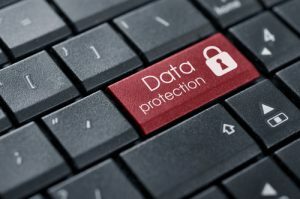 You need to know that your IT support company will protect you from a range of cyber threats, and also that they are compliant with current UK government legislation, particularly around data protection. Check if they have both Cyber Essentials accreditation, which will protect you against common cybersecurity threats, and the Plus accreditation, which defends businesses from higher level threats. They should also work in line with the General Data Protection Regulation (GDPR), which came into force in 2018 and obliges companies to protect the personal information of individuals, i.e. customers. Can You Easily Access Your Own Information? Your support company should offer you an easy-to-access portal, where you can securely log in and check the status of any IT issues you’ve sent to them. They should give different access levels to staff depending on their role in the company. How are They Rated Within Their Industry? If you do an online search for them, have they been positively reviewed by their peers? Have they won any awards? 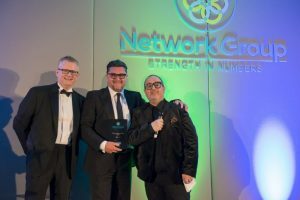 Both PCR and Network Group – a technology community member organisation – give out industry awards. What is Company Culture Like? Look to see if there is a positive company culture. Do they have a high staff retention rate or is there a lot of turnover? It’s worth bearing in mind that how they treat their employees is an indication of how they’ll treat you. Do They Offer Flexible Terms? If you change your mind about their services or you’re not happy with something, how easy is it to end your contract? Can you cancel at short notice (less than 60 days) if you want to? Another good indication of whether the IT support company you’re considering will be right for you is to look for references or testimonials from their current clients. They should be able to provide 10-12 for you to look at. Assess each IT support provider you’re considering against this list, and the more of the points they meet, the better they’ll be able to help you. Remember that security, expertise, 24/7 availability and top-quality products are vital to keeping your data safe, so take your time in making a choice. To make it easier for you to compare IT support companies, we’ve made this blog into a handy checklist. Download it now and keep it nearby while you look at potential suppliers.